"Alec has been a Whaler for the past three seasons and has shown tremendous commitment to his game, his development and to the Hampton Roads Whalers", stated owner Patrick Cavanagh. "I remember keenly the setback we had in 2017, losing the National Championship in the final game. I mention this because it was a turning point for Alec and The Whalers program. His pride and expectation for himself illustrated the Whaler mantra: Perseverance. Commitment. Excellence. The results are now legendary, Alec leaves as a back to back National Champion who will always be recognized by future Whalers who aim to realize the standard he has set for them". The Hampton Roads Jr. Whalers are proud to announce that 1998 goaltender Alec Lindberg from Bedford, NH has committed to playing college hockey in 2019 for the Saint Michaels College Purple Knights. 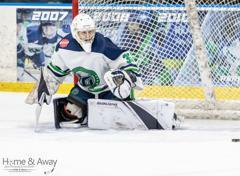 Lindberg, in his 3rd season with the Whalers, posted 19-2-0-1 record in the regular season with a 1.76 GAA and .941 save% with 4 shutouts. 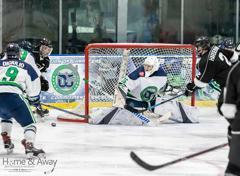 In the post season, he backstopped the Whalers, posting a record of 5-1-0 with a 1.80 GAA and .939 save% and 1 shutout en route to helping the Whalers Premier team capture the 2019 USPHL Premier National Championship. 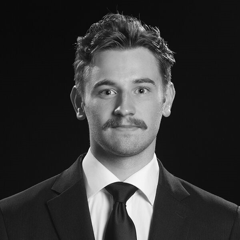 "Alec had an amazing year as a significant part of our tandem goalie pair", stated head coach Rod Taylor. "It’s a credit to his character how supportive he was of his goalie partner Blake Bjella. Alec is a true Whaler and I am so pleased that he was one of our repeat Championship players. Alec came to us 3 seasons ago and has a really made an impact on the program. He was a great teammate with a selfless attitude. He played for the Whale. Very proud of his improvement and how far he as come and all the success he has had. Wishing Alec all the best at Saint Michaels". “I would like to thank the whole Whalers Organization for helping me obtain this accomplishment and lifelong dream”, stated Lindberg. “Thanks to GM Pat Cavanagh for giving me the opportunity to be a part of his outstanding organization, to head coach Rod Taylor for pushing me to become a better player and a harder worker, as well as showing me what it really takes to succeed on the ice and in life. Thank you to assistant coach Kody Rodriguez for his mentorship and support, and for always taking the extra time to personally help me work on my game every day, to Coach Brad Jones for working so hard behind the scenes to make everything happen logistically for the entire program while simultaneously coaching the Elite team. My 3 years as a Whaler have been the best years of my life; I was able to develop and grow immensely as a player and as a man. 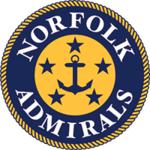 I am confident that after my time with Hampton Roads, I am well prepared for the next level of life and hockey. I am extremely excited to join the Saint Michael’s College hockey program this fall under coach Digiulian and coach Allen”. 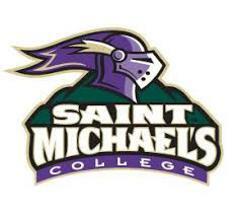 Saint Michaels College is located in Colchester, VT and competes in the NCAA’s division 2 Northeast 10 Conference (NE-10). Lindberg becomes the Whalers 11th commit of the 2018-19 season and joins Brendan Borg (Morrisville State), Chris Ciolek (Worcester State), Blake Bjella (Worcester State), Matthew Hanchon (Southern New Hampshire), Conner Hunt (Manhattanville), Max Loga (Lebanon Valley), Cody Wilson (West Virginia), Brandon Osmundson (Utica), John Moncovich (Utica), and Jaxon Rutkowski (Utica) as committed Whalers.